8-year old Zion Harvey has experienced things in his short life that would cripple most adults. At the age of 2 he had a rare, dangerous infection that lead to him losing both of his hands and both of his legs from the knees down. Soon after, he had to have a kidney transplant after 2 years of dialysis. The soul and spirit of this little boy is such an inspiration, even when it comes to bullies: “They don’t mean to say mean things to me, but it just slips out. Somebody says something to me, and I just figure it slipped out and they didn’t mean to say it. Everybody has their own way of thinking.” Zion’s mother, Pattie Ray said, “This is just another hurdle that he jumps. He jumps so many hurdles. He’s so amazing. This isn’t the first amazing thing that he’s done. He’s been doing amazing things since he’s been sick. I don’t know many adults that can handle half of his life on a day-to-day basis.” After over 18 months of evaluation to see if Zion was a good candidate for the surgery, he was finally selected. 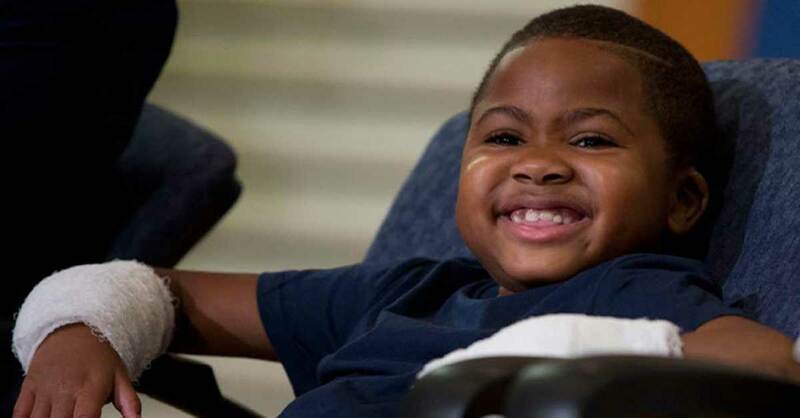 Following a grueling 10-hour surgery, Zion became the first child to receive a double hand transplant. This miraculous procedure was the work of Dr. L. Scott Levin, a team of 12 surgeons, eight nurses, at least 3 anesthesiologists, and various support staff. What Can People Tell Just By Looking At You Based On Research?